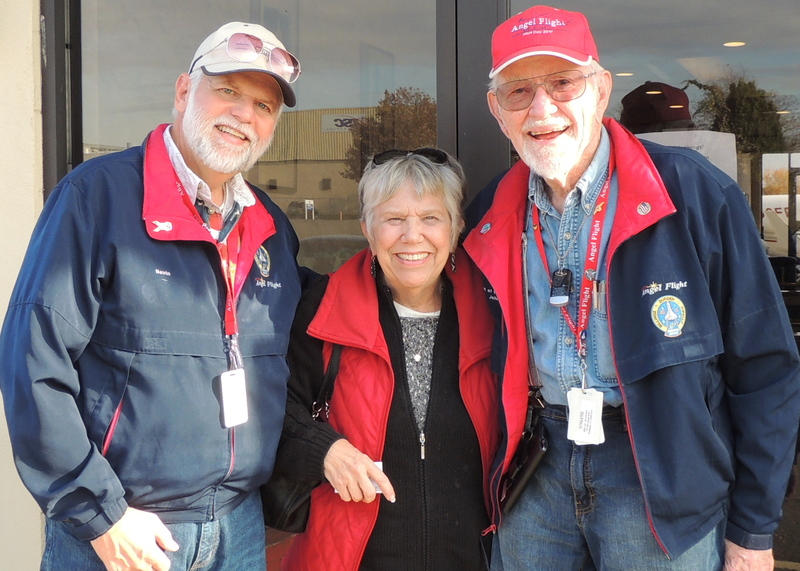 Todays Angel Flight took us down to Greensboro NC where we picked up our passenger Elaine (Elaine had just arrived at Greensboro from Asheville NC by Angel Flight Pilot Jim Brady)…. from Greensboro we flew Elaine up to Northeast Philadelphia were she would be having her appointments. From Northeast Philly we returned back to home base Luray. Once on the ground at Northeast Philly we exchanged hugs with Elaine and saw her off with her ride. We then loaded back up and departed Northeast Philly heading for home. Our ride home at our final altitude of 6000 feet was very smooth once again with a slight headwind. We were mainly above a deck of clouds with the beautiful late afternoon sun brightly shinning in front of us. Once back into our home base area of Luray we were able to do a visual approach into runway 22. Airtime back from Philly was 1.9 hours covering 202 nautical miles. Total flight time for today was 6.5 hours covering 732 nautical miles over 5 states. We departed home base at around 9:00am and arrived back at around 4:00pm. This was Angel Flight Mission Number 412 for Captain John and Angel Flight Mission Number 282 for me (Nevin) Tomorrow (November 16th) we will return back to Northeast Philly to pick up Elaine and fly her back to Greensboro. After tucking 49Bravo snuggly back into her hanger we enjoyed …. and I mean really enjoyed, our first cup of coffee for the day….. along with some great conversation ! Then… as always, we departed on one of our most dangerous parts of the day, our ride home ! Following are some Photos of the Day….. Thanks for viewing and please feel free to leave any comments ….. we love them ! Thank you so much for your time and effort! These flights have been such a positive experience for Elaine and her family during this difficult time and they bring back fond memories of her beloved pilot husband. You guys are AWESOME! Thank You Jason ……. We have heard such great things about Elaine’s Husband, it sure would have been great to have known him …….. we love flying Elaine and look forward to seeing her again on one of her next flights. Thank the dear Lord for Angel Flights and more so for taking my dear friend Elaine to Phila. and making sure she gets back home safely. This is a vey special organization that you all provide and I just know Our Lord watches over you as you fly our “PRECIOUS CARGO”. You are both and I know you will be Blessed for the good work you are doing. Thank you from my heart. Fabulous photo of the Blue Ridge Mountains…looks like a painting. Where was the light house? Cove Point, VA maybe? Barbara B. What a wonderful thing that you do. Elaine has thoroughly enjoyed her several flights with you both, & feels it is such a blessing to have met you. God bless you for your time, efforts, & commitment to the Angel Flight program. Thank you Kay for your kind comment ! ………. It is always our pleasure flying Elaine, we both feel as though we have known her much longer than we actually have ! Your are so welcome and thank you for your kind comment ! Wishing you God’s Blessing and good health, you are definitely God’s Angels. Thank you so much!!! Elaine is a very special lady. Yes she is ! ……… we really enjoy our time we get to spend with her on our flights !